NEW YORK: Serena Williams says she is suffering from “postpartum emotions” as the 23-time Grand Slam winner struggles to deal with juggling family life and tennis. On Monday, she described her mindset at the time as being in a ‘funk’. “Talking things through with my mom, my sisters, my friends let me know that my feelings are totally normal. It´s totally normal to feel like I´m not doing enough for my baby… Whether stay-at-home or working, finding that balance with kids is a true art,” she said. Organisers announced on Saturday that Williams was withdrawing from this week’s WTA Montreal tournament citing “personal reasons”. Williams battled back from life-saving surgery after giving birth to daughter Olympia in September, reaching the final at Wimbledon, where she was beaten by Germany´s Angelique Kerber. 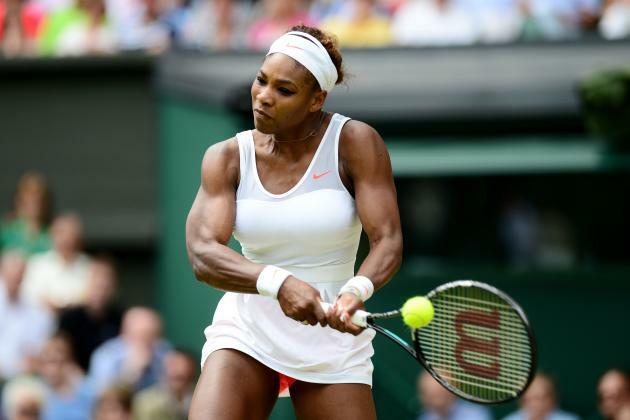 Meanwhile, in first round matches on Monday, Serena´s older sister Venus rallied from an early break down to ease into the second round by defeating world number 124 Caroline Dolehide 7-5, 6-1. “I think maybe she had more of an advantage because she´s probably seen me play more than I´ve played her. It was pretty close in the first set,” the 38-year-old Venus said. Dolehide tried to make the most of her baseline game but she racked up 25 unforced errors to 11 winners and lost her serve four times. Russia´s Sharapova has a 4-1 lead in the match which will resume on Tuesday. The pair played their first three career matches as teenagers, including a fiery affair on the outer courts at the 2004 Indian Wells tournament when Karatantcheva was 15. Tuesday´s contest under the Court Central lights will be their first in over eight years.